I'll come back and update more later (DONE) - but I've locked in on this theme for the year. First I hope, very VERY much to get the heck out of Atlanta, GA and up to the Chattanooga, TN area - THIS YEAR. Secondly, I've been pretty successful in keeping an eye on my food intake and sleeping better - so it's time to move my body. So my challenges will ALL have some sort of "move" theme and geared towards helping me move my body AND my home! 2) Macros - Basically - a reminder that although I love carbs, I need to limit them for my health. Start my day (5+) with a protein shake and don't go overboard with the rice, bread & pasta. 5) And finally - moving the heck out of Atlanta - Every week work on moving\organizing something to be ready for "the move". This challenge I'm going to focus on the kitchen. Throw away\giveaway anything that I don't use - really, really cut down all of the crap in the kitchen. 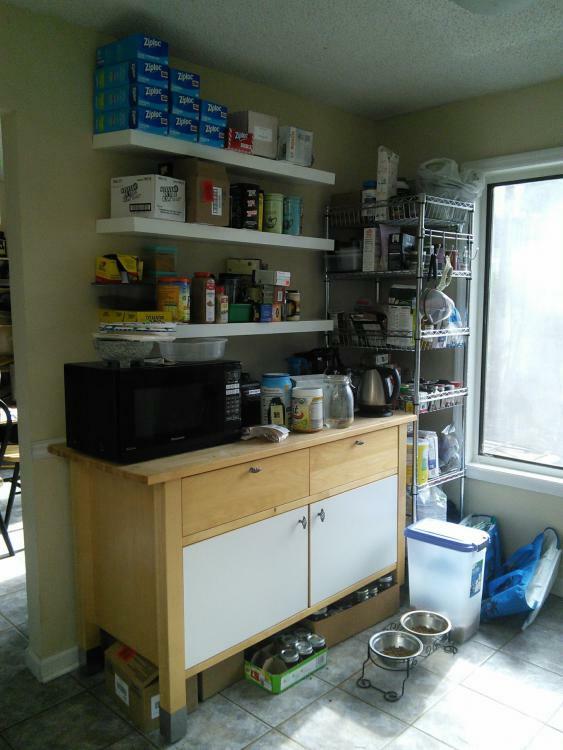 By the end of this challenge, I want a clean, de-cluttered kitchen where everything - and I mean EVERYTHING has a home and is IN IT. I have a lot of surplus food items that were purchased in bulk for recipes that I don't cook any more - all of that can go to a food bank or be free-cycled. There are TONS of "serving" dishes and cooking things I just don't need\use - all of that can be photographed and taken to charity (and write it off). Following. And curious what is up. Although I love the idea of a move theme. That sounds like a great idea. Great challenge, and theme for 2018. When thinking about moving, I've been inspired by the books of Katy Bowman (Move Your DNA, Movement Matters, etc.) - I love that you're including a house move as well! Good luck! Can someone explain to me why getting to bed during the week before midnight is nearly impossible (because I'm not tired), then I can't drag my rear out of bed in the morning (thank goodness I didn't have any early morning meetings), but Friday night I'm crashing by 10:30? If I could crash that early during the week I'd be set!!!! Anywho, this week has been a bust workout wise. I only got my sleep because I COULD sleep in, and I ate too many carbs as I didn't manage a grocery shopping so only ate what was on hand. That changes this week. Hubby is heading out of town Thursday so I can make my menu based on my likes and amp up the veggies later in the week. I've decided that waking up early just isn't going to happen at this point so workouts will be after work. No more excuses. A bit late, but let's really get this challenge started! Oh hey you have a challenge! I found it, so here I am. I really like the idea of turning the two different types of 'moving' into a unified theme. For the e-cycling: we recently did a bunch of that, and it was easier than I thought because Staples and Best Buy will both accept a lot of electronics for recycling for free. We helped clean out my MIL's basement and we literally took two cars full of stuff to the local Staples and Best Buy and they didn't bat an eye. Obviously we made sure data was wiped and chips were smashed before we took stuff in. 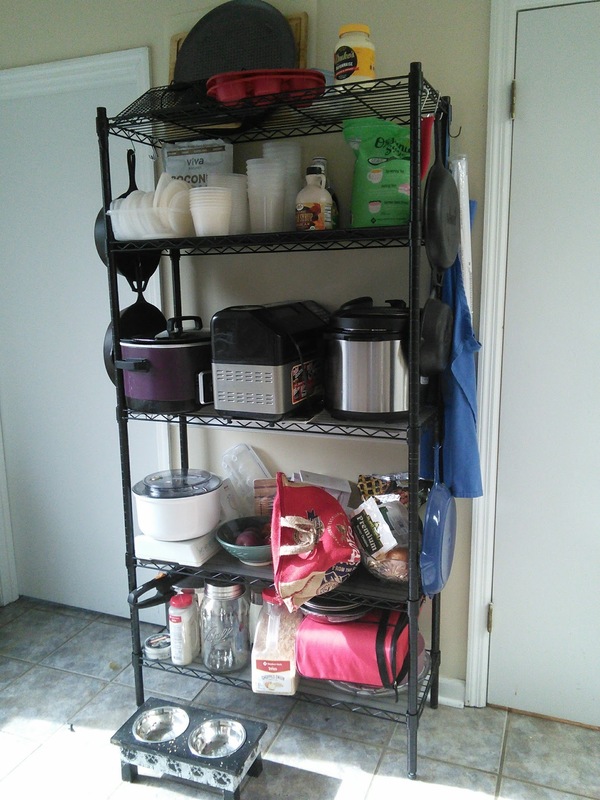 Decluttering the kitchen before moving is really smart. Otherwise you find yourself doing that sorting/filtering process AS you're packing (or worse, when you're unpacking....or worst, never!) and that slows down the whole moving process. You said you were planning to build your next house, right? Is that something you'll be doing in TN? I wish I knew why it works that way. I have the same problems. Yes, I'm pretty sure I still have unpacked boxes from my move 10 years ago. I plan to go through every, single box in our current house and toss (and by that I mean recycle\re-gift\donate) a metric ton of stuff! We are planning to buy property and FIRST setup hubby's workshop in the form of an obscenely large metal building (there's an insane market on used - and sometimes never erected buildings). And when I say large, I mean the plan is to build an apartment for us in it - say 1500 - 2000 sq. ft. and that should take up no more than 1/2 the building The HOPE is to get that done with the equity we're going to realize by selling his parents' house, their FL property and our house. Or as close as reasonably possible, I don't want a big loan. We'll live in that a couple of years to re-build some funds and pay off some outstanding BS debt accumulated keeping things afloat since hubby has been unable to work (because our house payment will be as close to $0 as I can manage). THEN we'll build our actual home and re-purpose the apartment - or keep it as a a "guest house" for long term guests. 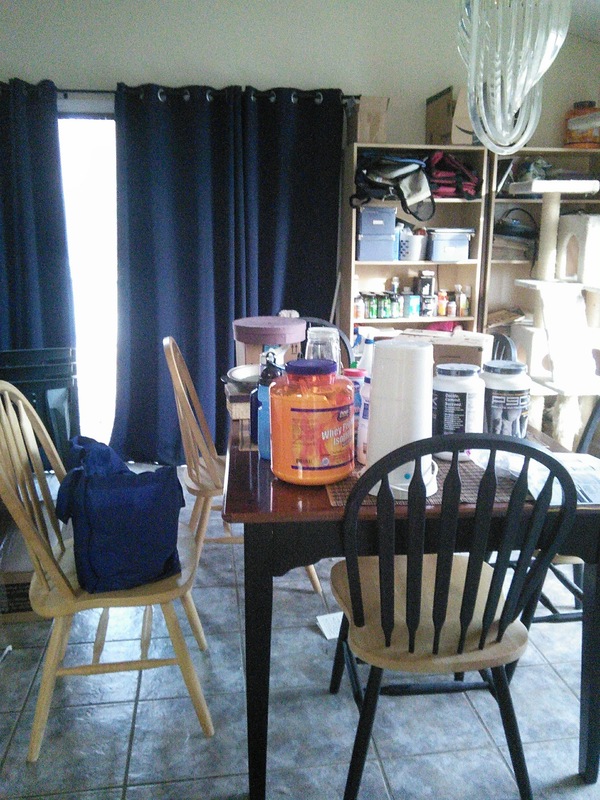 I made some progress on "Operation Declutter the Kitchen". The differences are subtle. A "little" more space and an little less clutter - BUT - things are better organized (all of my spices fit on my spice shelf, including the 2 bags of bulk Cinnamon - yes - 2 bags. I found some duplicates (not as much as I thought there'd be) and some triplicates (I will never need to by whole cloves again - one of the few spices that really doesn't go bad). I definitely have more to go, but this is a great start! Okay, uh...that plan is amazing?! Sounds really, really cool. Building your own house sounds like such a creative, satisfying adventure. I hear you on the desire to get to debt-free living ASAP. My grandfather always said the smart thing to do was live below your means and save the extra, and we try to do that. Sounds like your plan is really smart (I had no idea about prefab buildings) and will give you a lot of security. Roasted some Chicken Breasts tonight. Trying to stick to my "less carb" rule! I plan to have 1/2 (or maybe less, these things are HUGE) with a salad. Recipe is in my Recipe Thread (in my sig) or go directly to it here. That recipe looks so good. I may steal it. I also want to say, I love your plan to move and get to a place where you are free of a house payment. I have a similar goal and I don't want completely off grid, but getting far enough out that I don't worry about neighbors would be nice. then maybe I could finally get a greenhouse and had home grown tomatoes and cucumbers in winter. Our forever house will be a bit weird too. 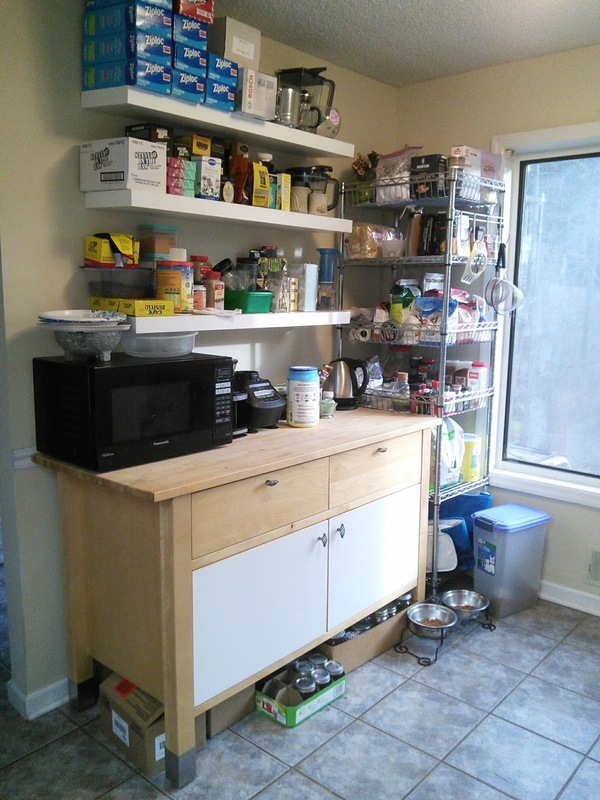 I need to build for a giant, so counters will be higher, sinks will be higher, with only one section lower since he does most of the cooking. Good luck with you plans. I need to build for a giant, so counters will be higher, sinks will be higher, with only one section lower since he does most of the cooking. Good luck with you plans. 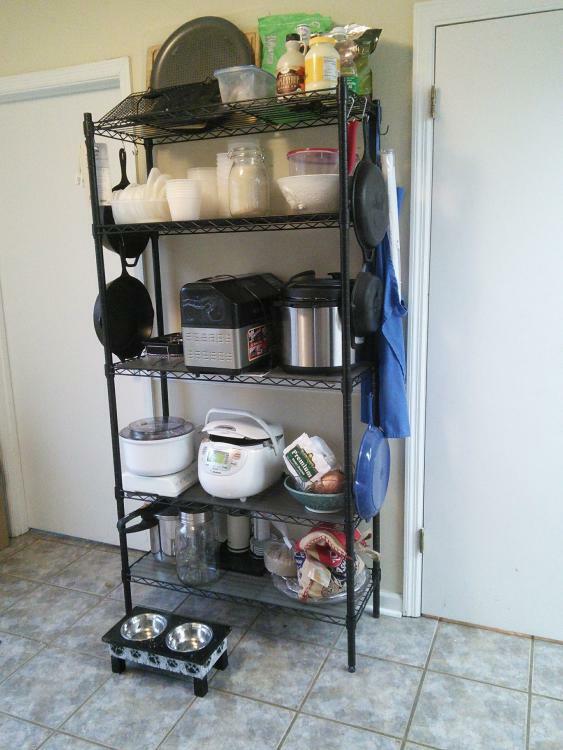 And I'm 5' tall so there will be one counter LOWER so I can do things like knead bread, roll out cookies, etc. Also - I love cooking, recipes and sharing recipes - so I hope you enjoy the chicken - it was FABULOUS on my bagged salad! 2) Macros - fewer carbs! AND the HOA Meeting is marked "it is VERY important to read the new by laws and covenants and bring your own copy" - but neglects to mention that the HOA was dissolved in 2008 (you'll have to go back one or 2 challenges to get the low down on that). Just put together a note that a few friends are reading prior to my posting to our community FB page. It's quite non-confrontational and is just informational if I say so myself. If it's deleted and\or I'm banned from the group - I'm totally emailing to everyone in the community. I'm a former treasurer and have the list. If they won't inform the community members - I WILL. It never occurred to me that in addition to personalizing room layout, you could do things like counters. Amazing. I may have asked you this before, but which probiotic do you take? I have stomach weirdness and I have thought about trying one. Good luck with the post! Neighbourhood drama is the worst. may have asked you this before, but which probiotic do you take? I have stomach weirdness and I have thought about trying one. Yes - and I will never move into another 'hood with an HOA again. They were not like this once upon a time, but FFS, if you aren't informing the membership about something this major, what else is going on that we don't know about? Honestly, it means most of our counters will be like "bar height" for him (note, hes 6'8"). We have a like 6" stained wooden box under the sink in the bathroom (to deal with a plumbing issue) and its great. Young kids may need a step stool to wash their hands, but the number of tall people around me are like "You mean I dont have to bend in half to wash my hands? Thank you" we also tend to use the chair height toilets so its less stress on the knees. Hubby and I will probably have different height sinks in the master bath. He's an entire foot taller than me.... He's almost never in the kitchen so that is MINE ALL MINE! I saw your meals and had to smile. It looks quit a lot like mine. Reducing carbs has different meanings for different people. Some say eliminate carbs and they mean eliminate sugar, startches, breads, vegys, fruits - pretty much every carb like on atkins. For some, like me, I'm just eliminating most of the crap sugar (candy, cookies, that sort of thing) and starch carbs. Lunch and dinner for me is just salad and meat. But my salad has romaine, spinach, grapes, tomatos, a mandarin orange, and a sprinkle of cottage cheese. Good luck on keeping on track. 4) I need to move my body - FAIL - head was killing me. Hormones. Blech. Busy day this morning..... Hubby is off to the airport for a week in Texas to see friends and attend Pax South. I'm really not used to being home without him. I have designed my meal plan around mushrooms in his absence - because I love him and he is SEVERELY allergic - so I don't get to cook with them often. Mushrooms are one of my favourite foods so planning a weekend menu around them sounds delicious. Hope you enjoy the weekend alone. Being in an empty house when you're not used to it is a bit weird. Last year when D and L went out of town for a week on a business trip it was both lonely but also kind of a mini-indulgence because, for example, there was a lot less cleaning and I could play whatever music I wanted at any hour at any volume. And I had a lot of alone time to think and draw.